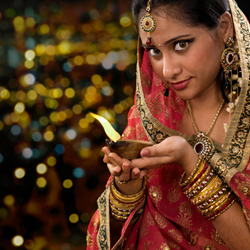 Borton Overseas offers access to India's most important festival - Diwali Festival of Light along with seeing the Taj Mahal, and the lands of the Maharajas and Varanasi. "Fans of the cult movies 'Best Exotic Marigold Hotel' set in Jaipur will delight to the festival," says Daphna Stromberg, Borton's Asia Specialist. Borton Overseas a travel company with well over 100 years’ experience now offer an exciting opportunity to experience the Diwali Festival of Light in India. On this Borton Overseas Signature Journey hosted by Asia Director Daphna Stromberg, discover the fascinating culture of India. Visit Delhi, the famous Taj Mahal at sunset in Agra, Jaipur the land of the Maharajas, and Varanasi, the spiritual capital of India. It will be the most unforgettable trip with opportunities to glimpse the lives of the Mughals who used to rule India and interact with the people of today’s India. The highlight of the tour is Diwali, the Festival of Light. Of all the festivals celebrated in India, Diwali is by far the most important. It is the celebration of light over darkness and the triumph of good over evil. Stimulate your senses by celebrating this magical holiday with a local family in Jaipur. Fans of the cult movies “Best Exotic Marigold Hotel” set in Jaipur will delight to the beautiful textiles as depicted in the movie, as well as the crowded markets, delicious foods, and local color..
As a tour operator with a staff of highly experienced Destination Specialists, Borton Overseas works to create exceptional travel experiences which now includes Scandinavia, East, Southern, and South Africa, South America, Asia, China, India, and Antarctica. Specialists have traveled extensively, investigating the accommodations and immersing themselves in the countries and cultures travelers visit, assuring them of the best possible experience. Count on Borton Overseas and their years of experience in planning the best trip. Their expert Destination Specialists will guide you through the many options available to help build a very personal journey - an inspiring adventure will be created especially for each traveler.